Journey to the wilds of the high veldt where the hunting lodges do safari and the camera click counts in the thousands. An artist's illustrators delight, but tough and rugged. Artworks inspired by the writings of John Dawkins, the elephant hunter of lore. Remember the halcyon days of the 1980s when we flew 'kites' and could do anything at all? Well, those days are illustrated and the stories are written. Follow the storyboard! For 27 years I hunted over gundogs, traveling around Australia. 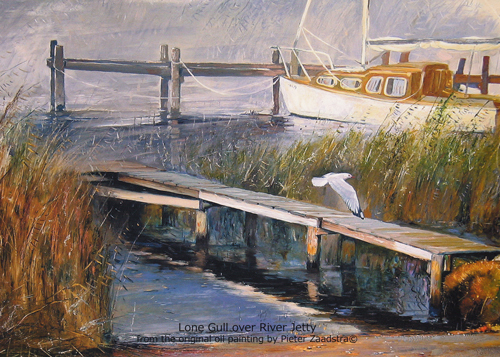 The artworks went to collectors, and now new artworks can be perused here at leisure. The sketches and oils that feature the wild things in Australia are probably the most collectable artworks in the Zaadstra Studios. Follow them here! - A SSL web site environment. 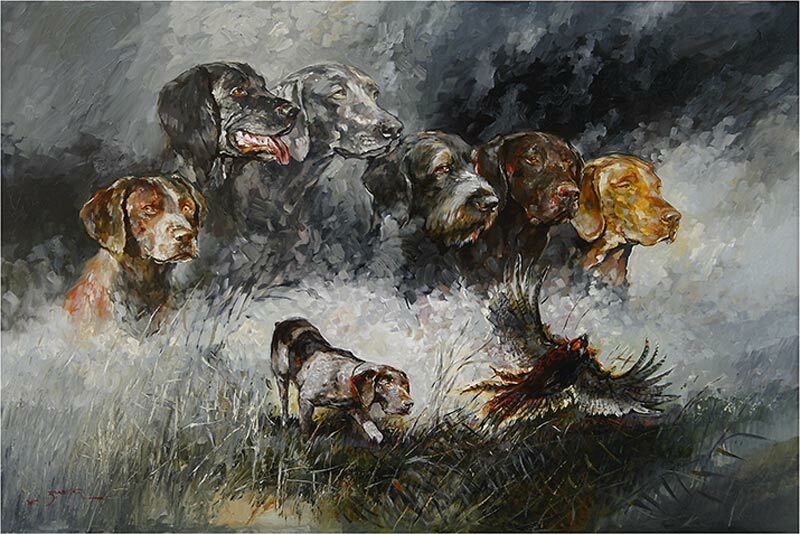 Pieter Zaadstra's oil paintings and hunting scenes are collected by enthusiasts from around the world. 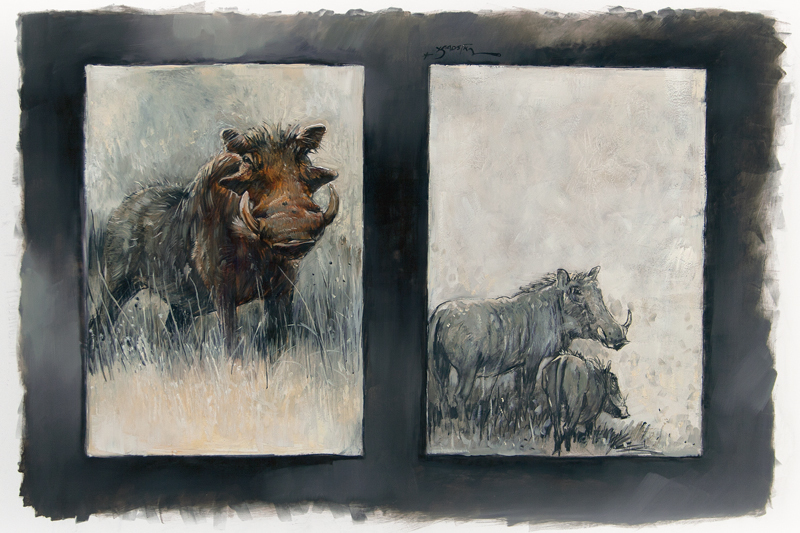 Pieter's enthusiasm for illustrating Afrika and the game found on the high veldt is regarded by collectors of the genre. 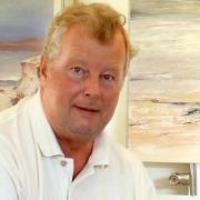 Collectors of the art of Zaadstra also love the artist's tales that are published in eZines. Real magazines and books of art are available too.. 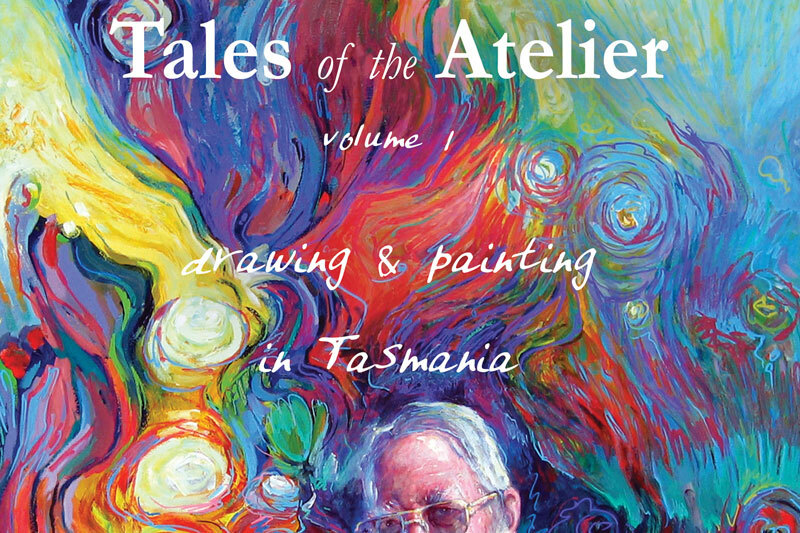 Welcome to my Atelier in Tasmania, Australia! Thanks for your interest. This site is now on my VPS. It is faster and more secure. This site is also SSL secured. The Zaadstra websites segregate my art and stories. Participate in my workshops online. Read flipbooks of my stories and tales. 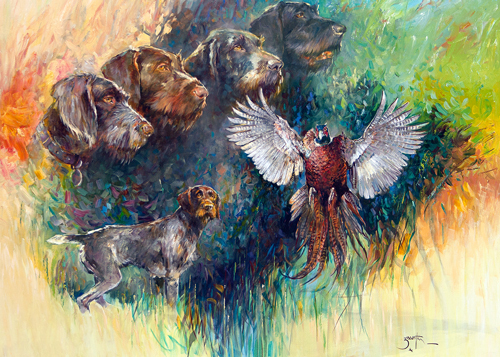 The Artist and the Fly Fisher Book of Art is an example of my publishing.